Up until now, the fastest cameras used a ‘pump-probe process’, where light is pumped at the object being photographed and then probed for absorption by a laser, in order to collect vital data used to construct an image, Phys.org reported. But this technique relies on repetitive measurements to construct an image. Instead, the new camera uses a technique called motion-based femtophotography to capture movement. The camera visually maps the movement of an object over time in a ‘burst stream’ of timed photographs organised in the correct sequence, to show an object’s ‘time varying spatial profile,’ according to the journal Nature Photonics. It was developed by scientists at the University of Tokyo and Keio University in Japan. The device claims to be 1,000 times faster than the previous ‘fastest’ camera. It has high pixel resolution of 450 x 450 pixels to provide scientists with a lot of detail about the object they are photographing. The new camera is called Sequentially Timed All-optical Mapping Photography (Stamp) and will be used to capture chemical reactions and heat conduction that occurs at a sixth of the speed of light. It has taken three years to develop and the next step is make the device smaller, as it measures around three square feet (one square metre). The experts who developed the machine believe it could one day be used in medicine and to gain new insights into the manufacturing of semiconductors, for example. 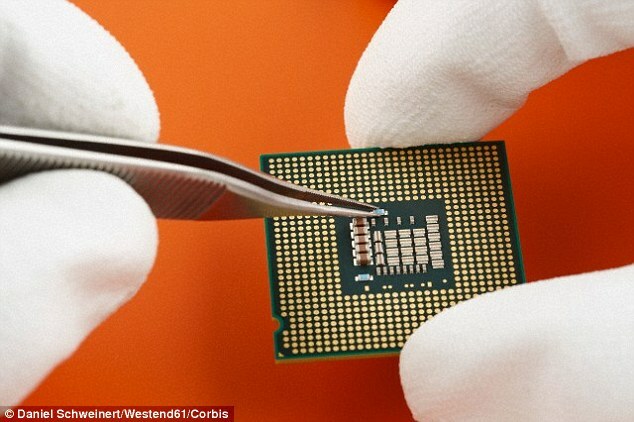 The computer chip components are tiny and by looking at detailed images of the manufacturing process, experts might be able to spot opportunities to make efficiencies.